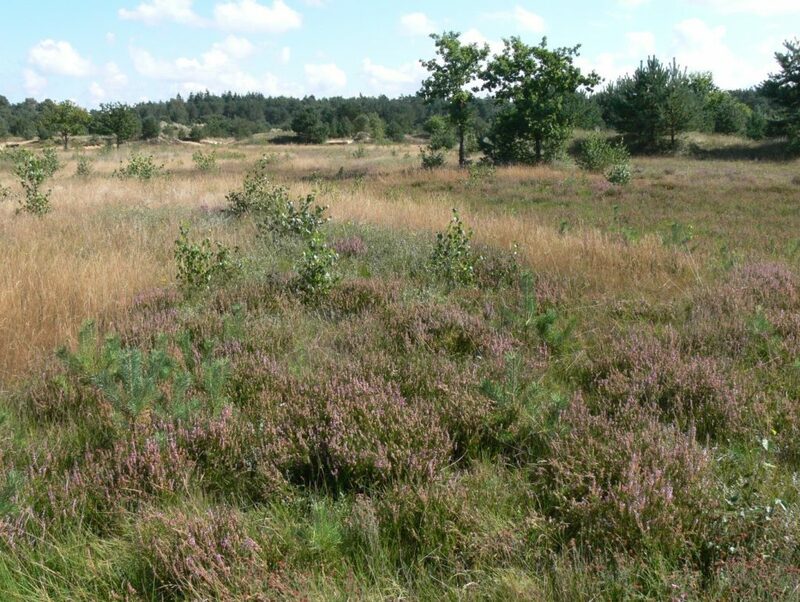 The 400 ha large N2000 site ”Inland dunes of Nordoe” is a former military training field next to Itzehoe. The sandy and nutrient poor soils are the reason for species rich grasslands, wet and dry heath and open dunes with many rare species. Succession after the end of military use facilitated the up-grow of bushes and trees. Natterjack toad and garlic toad have both their more or less last inland population in semi-natural habitat at this site. It is planned to improve the habitat conditions for natterjack and garlic toad by scrub clearing, creation of bare ground spots and by ponds creation. The last natural pond is a dune slack which was at least a pond where Great white faced darter was monitored some years ago. This dune slack is planned to be restored by mud extraction and fish removal so that it can get back the characteristic features of the habitat type “Oligotrophic waters containing very few minerals of sandy plains” (3110).